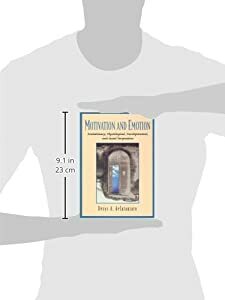 This unique book provides a comprehensive study of emotion within a modern evolutionary perspective. 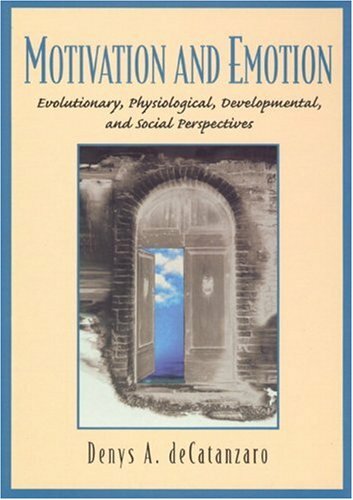 Motivation and emotion are presented within an integrated approach that assumes biological and psychological causes, including evolution, neuroscience, endocrinology, human development, and culture. Motivation and Emotion Presents a wealth of modern evidence integrating neuroscience and endocrinology into the study of motivation and emotion. The book provides a variety of photographs of facial expressions showing emotions from people of diverse cultures as well as nonhuman primates. It also discusses modern interactive explanations for specific behaviors, rather than dull, historical perspectives. For example, human affect is explained as a response to social events and stress, resulting in psychophysiological consequences. An essential reference for any professional in sociology or psychology.